I like the idea of sitting down on Mondays and checking out what I've done, what I've bought, and what I'm thinking about doing. 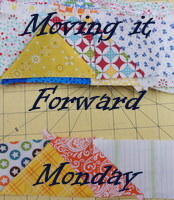 Got the idea from Em's Scrapbag blog -- she calls it Moving It Forward Monday. Check out what she's been up to this week and all the others that have linked up HERE. I'll be adding my link when I'm done here. And thank you, Em, for doing this and inspiring us to keep on Moving It Forward! So what have I done this week? 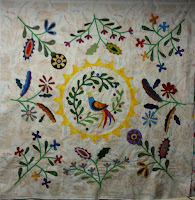 I finished second panel for Border #2 (diamonds) of the pattern Mosaics by Irene Blanc. This picture shows it in progress but I can assure it's now done. The picture at the top of my blog is the first panel done. 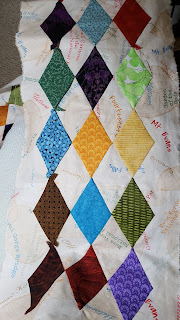 Two more of these panels to go and then on to the four cornerstones. They are gigantic hexie motifs which I've completed. 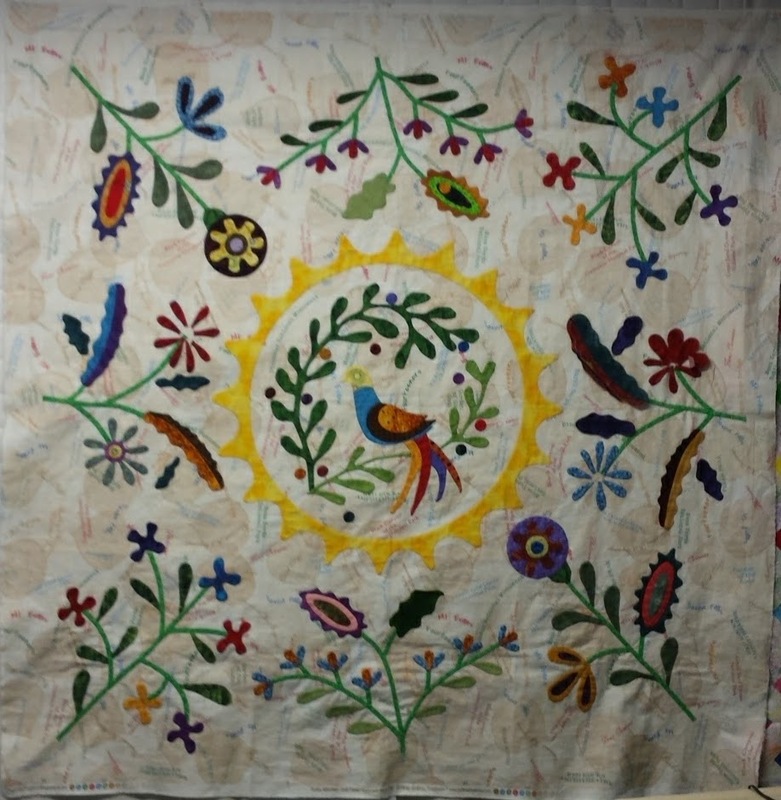 Only need to remove the papers and applique to the backgrounds. 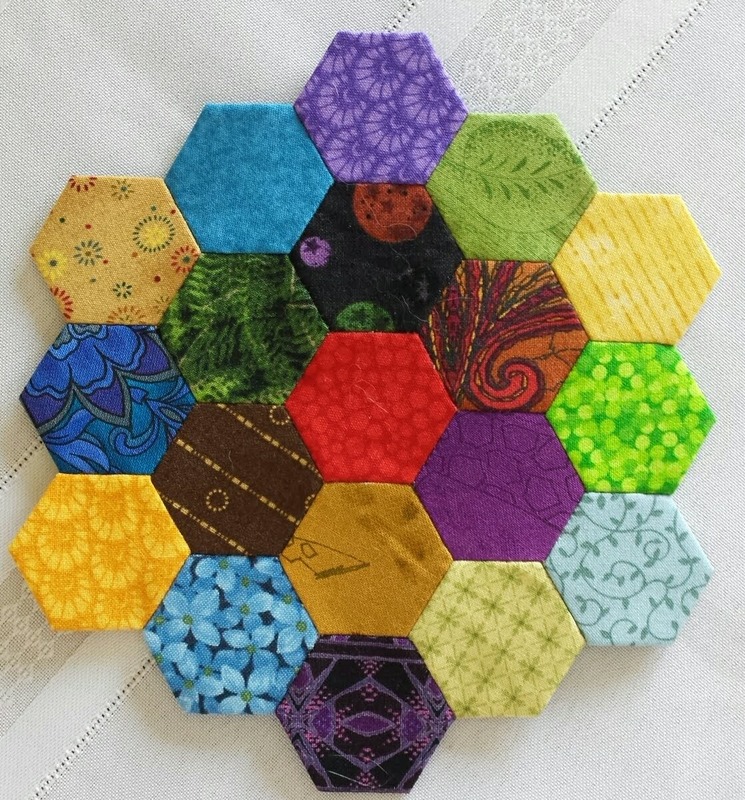 I've already finished the four panels for Border #1 (hexies) and the center medallion. Looking forward to getting this project completed. I also joined up with Jinny Beyer's Mystery QAL called Miyoto. 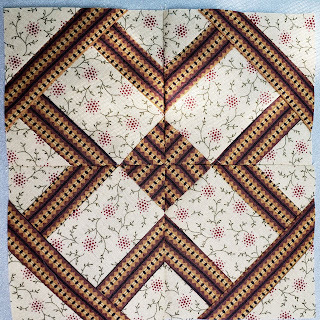 I'm hand-piecing this. The first two clues have been completed and here's my progress on Clue #3. There are four more rounds to go on these six triangles. I also managed to sew three blocks in the Farmers Wife 1930s Sampler Blocks this week, which makes me happy!!! In order to keep up we're pacing it at 2/week. This means I caught up half a week! Goodness -- what was I thinking when I thought I could accomplish all this! Hahaha! Anyway, here's a peek at my latest three 6" blocks for Farmers Wife. 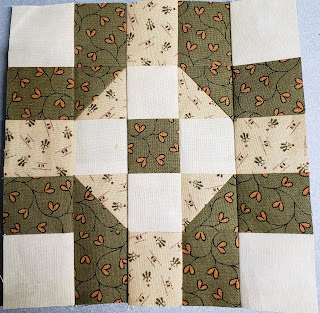 I hope to sew 3 or more of these blocks this week and make more progress on the other two projects. 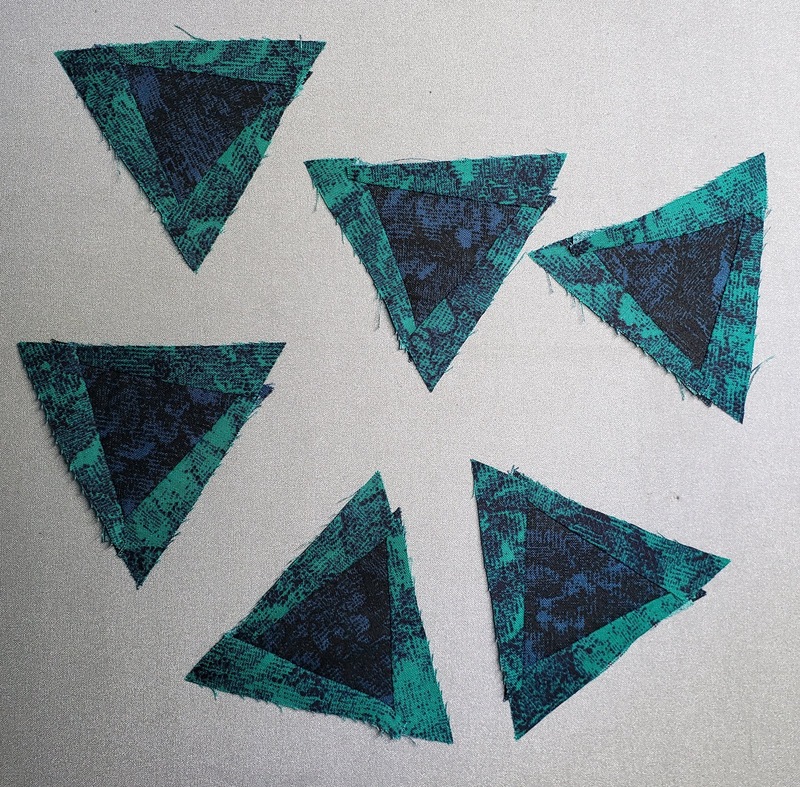 I also took advantage of Fat Quarters Shop's birthday bonanza and purchased a load of 1/2 yard pieces. 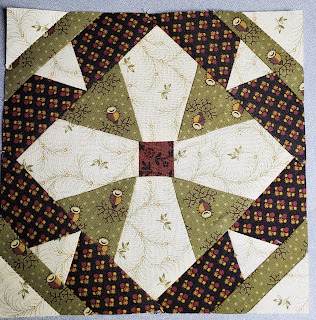 I hope to also get this fabric starched (yes, I'm a starcher!) 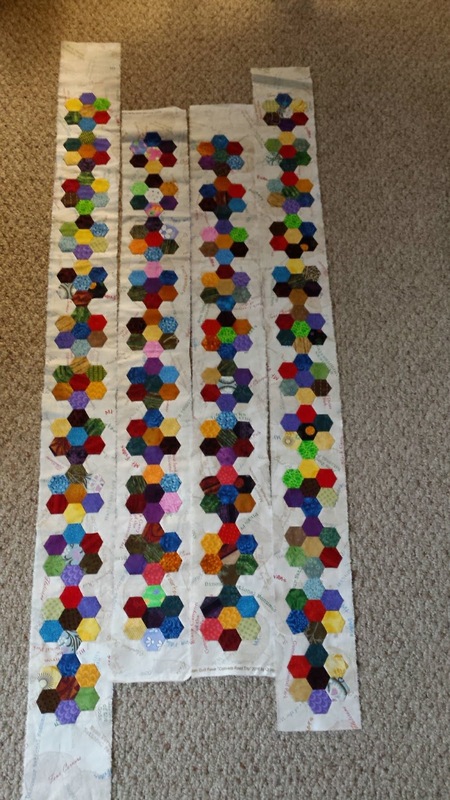 and ready to go for a quilt for my son and daughter-in-law.